Let your palate taste the exquisite culinary offer by Oliva Nova Beach & Golf Resort. 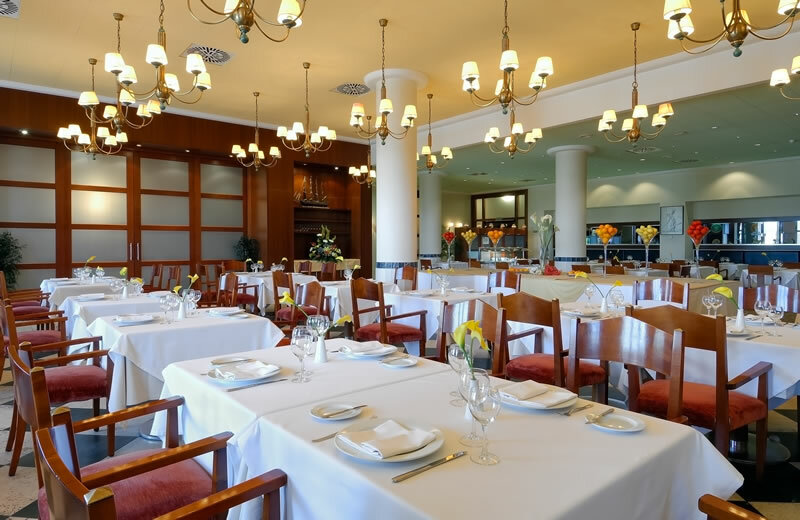 Get to know all the restaurants and bars available to make you enjoy the best gastronomy. 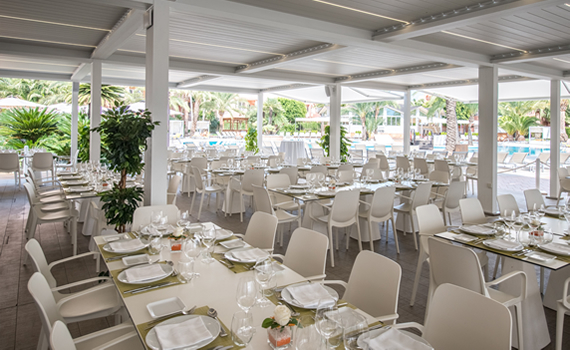 This elegant restaurant buffet offers a complete breakfast and you will also be able to enjoy the best Mediterranean cuisine. À la carte restaurant which combines traditional and avant-garde cooking, specialised in rice dishes and regional products. Enjoy a delicious breakfast or buffet dinner dinner with show-cooking by the pool of the Hotel during the summer months. 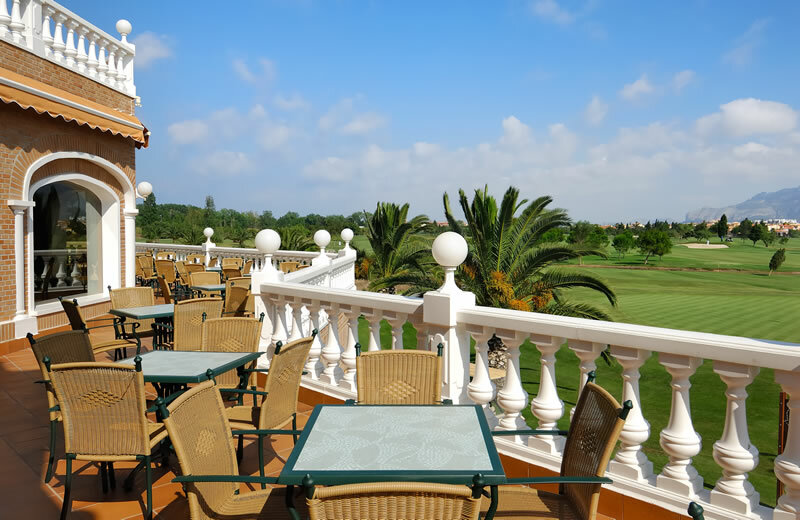 The perfect place to for an informal meal as you enjoy the amazing views to the golf course Oliva Nova. 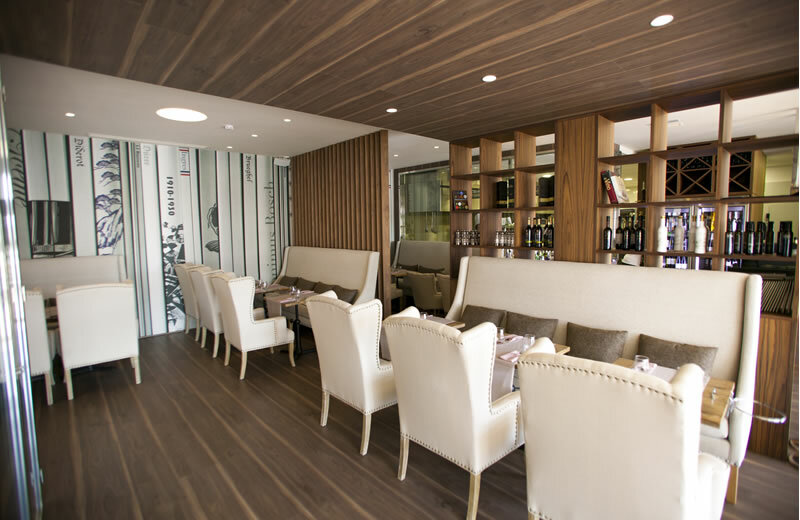 Haute cuisine restaurant which adds a special touch to ensure the maximum quality and the best presentation. Located in the Shopping Centre Oliva Nova. 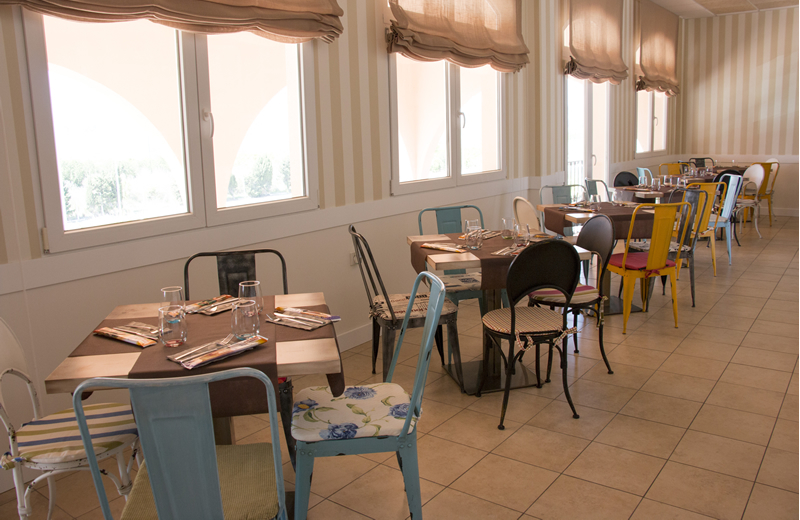 Authentic Italian cuisine in the Shopping Centre Oliva Nova. 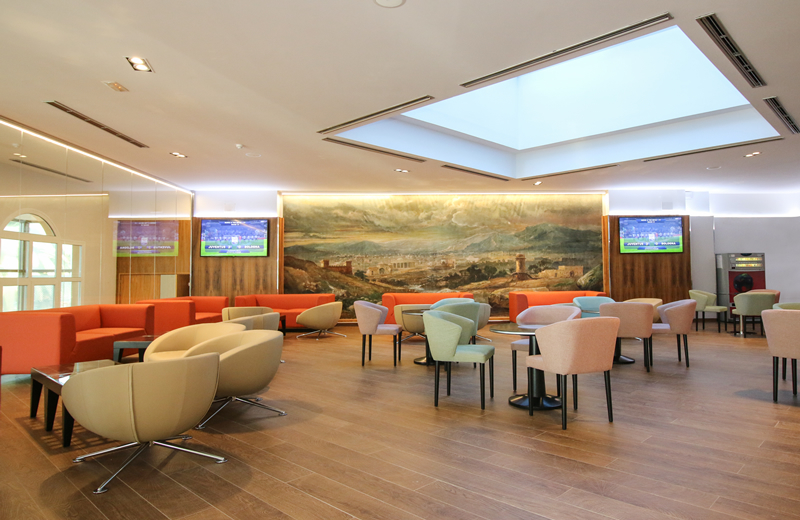 Go and relax at any time of the day while you have a snack or aperitif in the hall of the hotel. 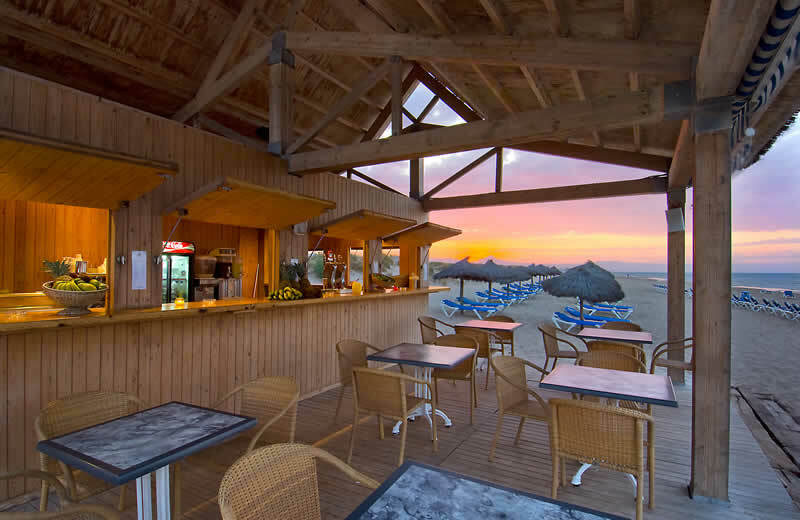 Our chiringuito is in the perfect location:by the sea and surrounded by natural dunes. Only open during the summer months. 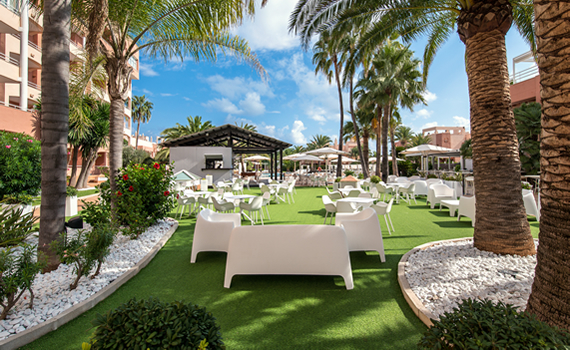 By the pool of the Hotel, La Terraza offers a bar-café service. Dans l'ambiance de votre sport favori, nos bars et restaurants du Centre équestre sont parfaits pour déjeuner ou diner en famille ou entre amis. Ces établissements sont ouverts en fonction du calendrier des événements hippiques. Mediterranean cuisine in the main building of the Equestrian Centre. Check opening hours and dates. 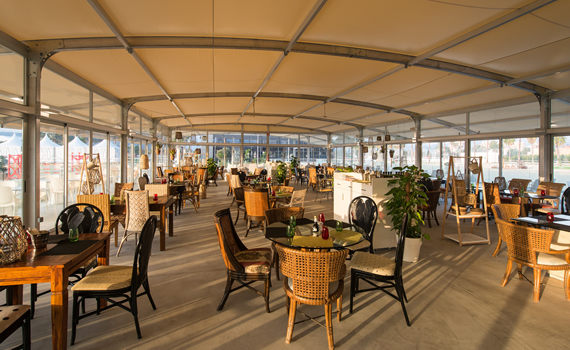 Perfect place to enjoy a drink or relax while you enjoy the exclusive environment of the Equestrian Centre Oliva Nova. 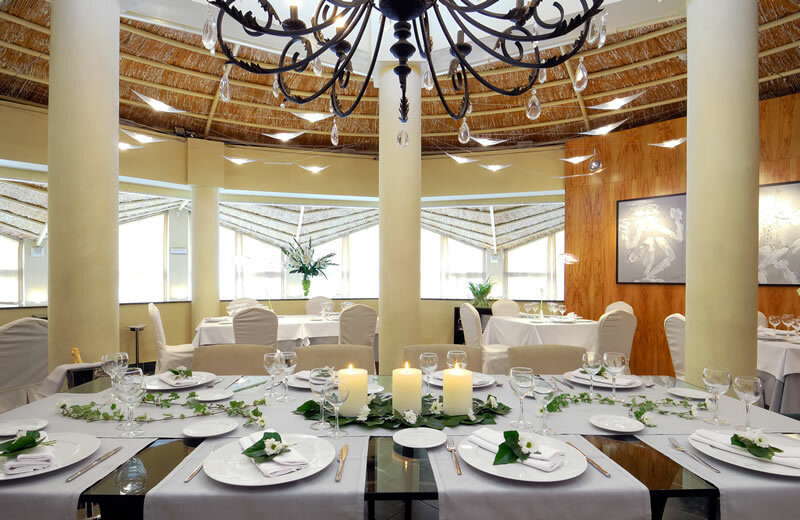 Delicious tapas and haute cuisine while you enjoy the excitement of the equestrian competition.